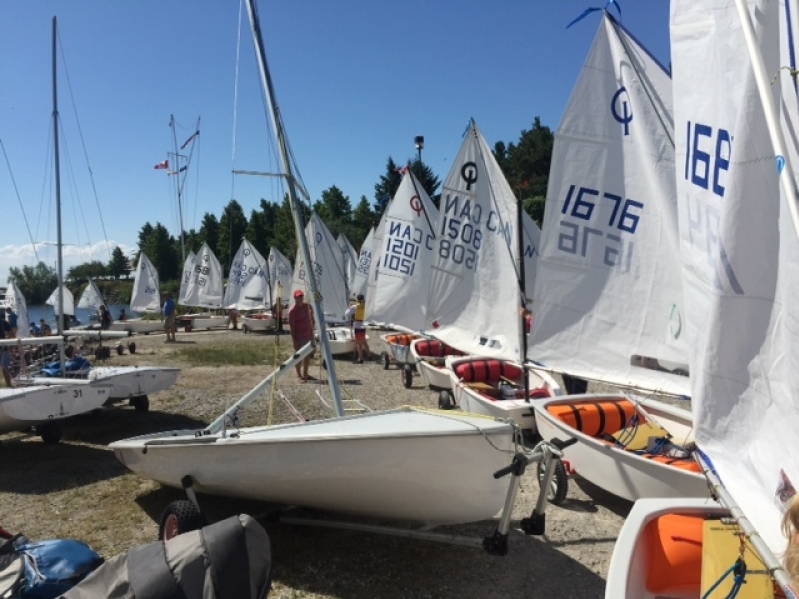 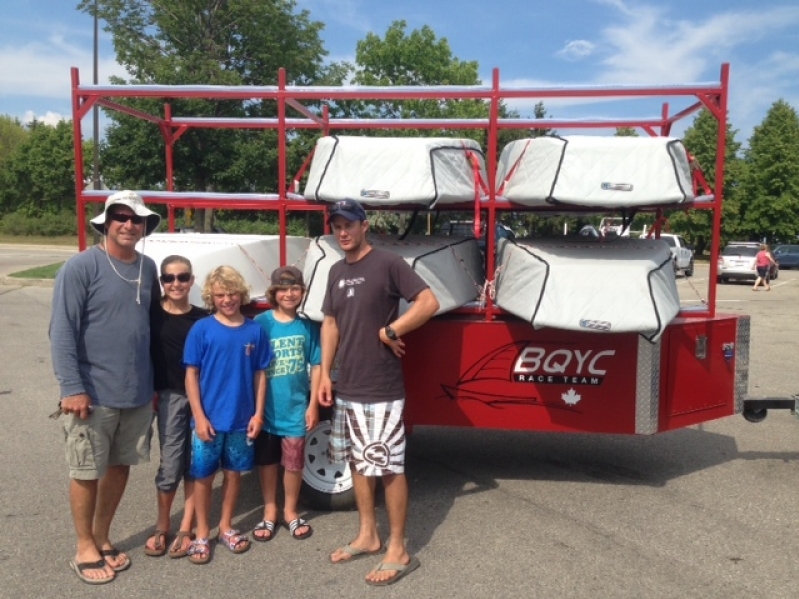 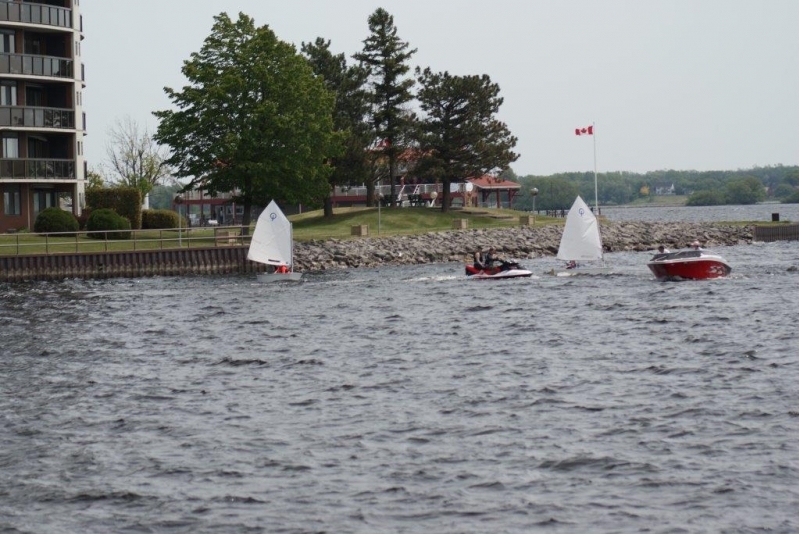 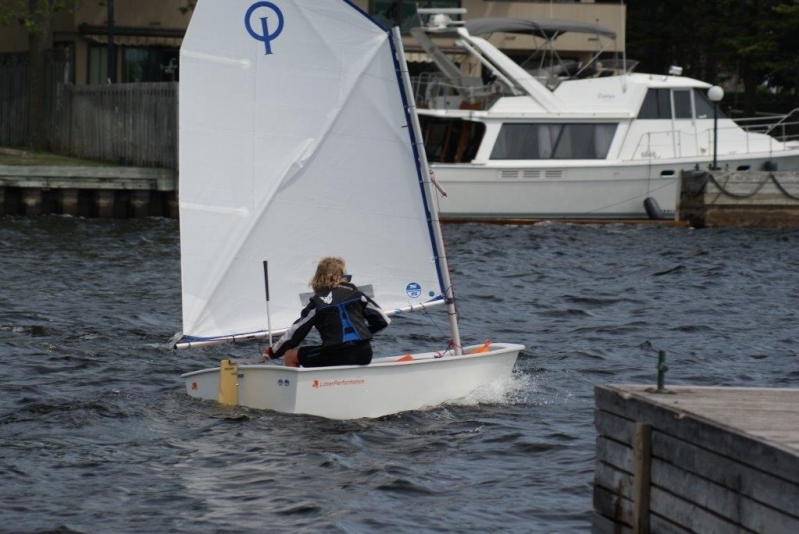 On this page are pictures from this years Opti program. 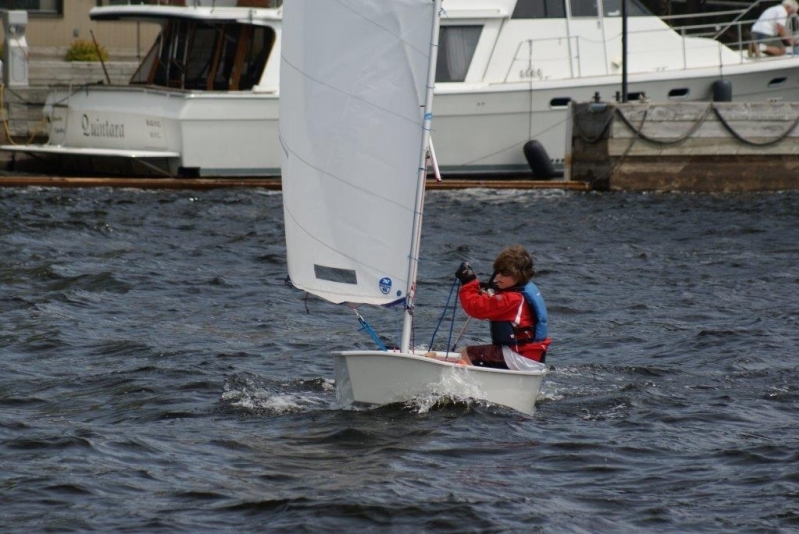 "Sailing single handed develops two-handed coordination skills"
"First day out and racing already"
"Supervision continues on the water"
The Four Sisters regatta was attended by Jack R. and Dhalia S. and Andreas S..The racers all had excellent races with a fleet of 85 Optis on the starting line providing lots of competition. 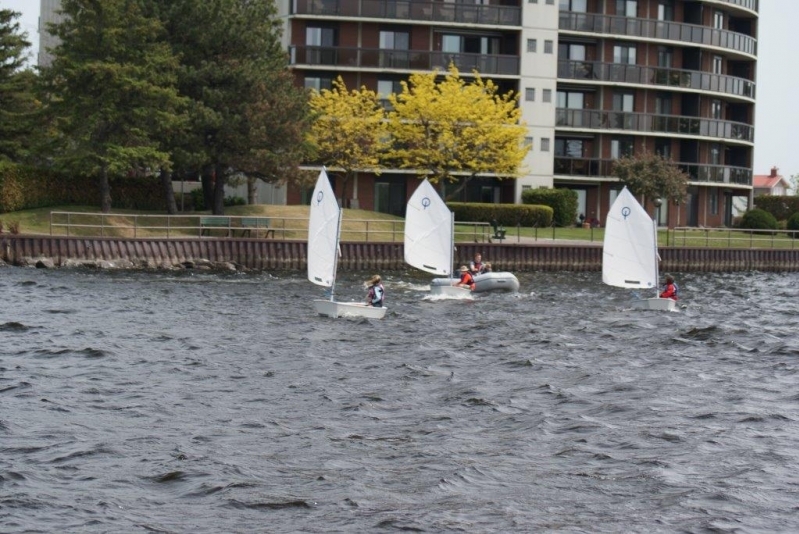 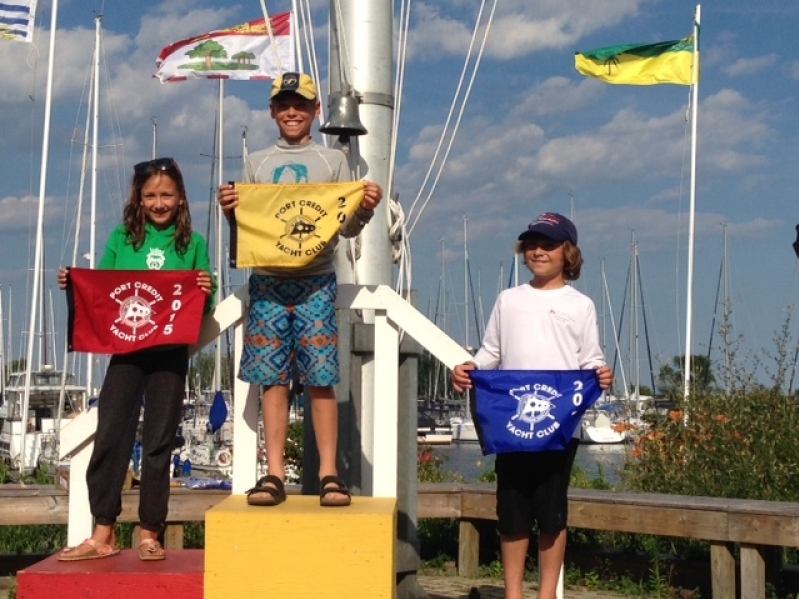 Andreas S. provided us with lots of excitement competing in the championship Fleet "Blue Division" (ages 11-13) and winning a podium third place. 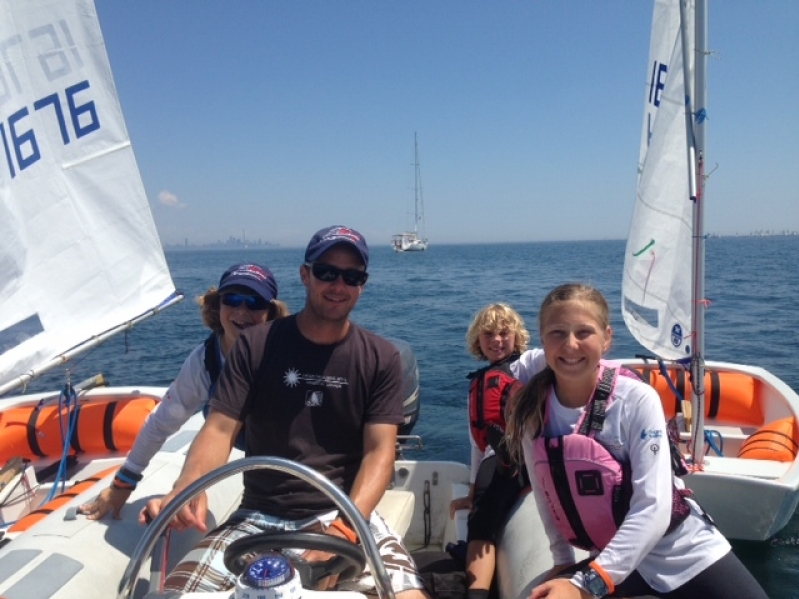 Pictured here are racer Andreas S. , Head Coach Dale McKee, racer Jack R., and racer Dhalia S..